For stray cats, diseases can be a fact of life, and some of these illnesses can be transmitted to humans or other pets. Get expert advice on how to handle a stray cat to prevent the spread of diseases like toxoplasmosis and bartonellosis. There are many health risks stray cats face while living life on the streets. Unfortunately, there are risks that good Samaritans face when they try to care for these needy cats. "A stray is more likely to have never been vaccinated. Malnutrition also weakens a cat's ability to fight off infections and illness. Cats that aren't spayed/neutered can also transfer infections/illnesses during breeding, and queens become run down having multiple litters. Strays are exposed to a number of health risks on a daily basis." Panleukopenia is another serious intestinal infection that destroys white blood cells, reducing a cat's ability to fight off opportunistic infections. 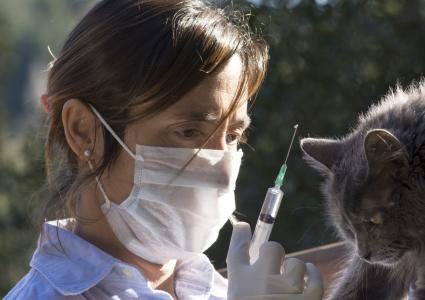 Notes Dr. Hohenhaus, "In my opinion, FeLV/FIV retroviral infections, which are related to cancer and immunosuppression, are some of the most prevalent diseases found in stray cat populations." 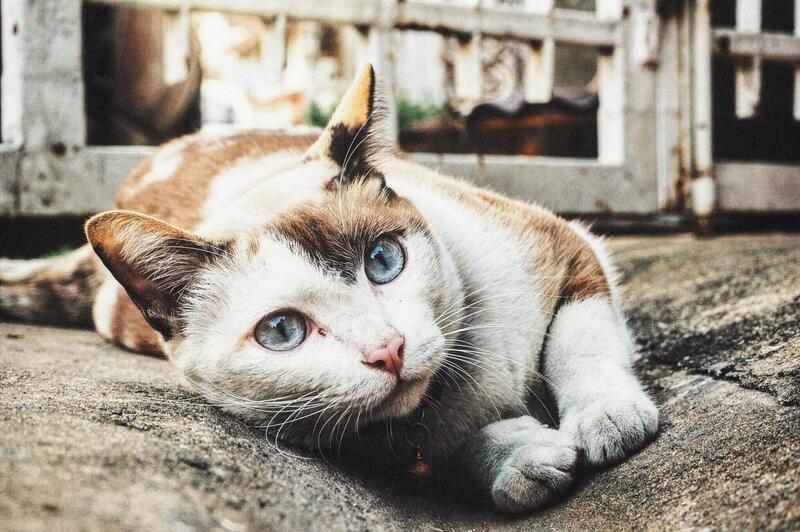 Parasites such as giardia, tapeworms and many others can infest stray cats which is related to their environment as well as contact with other stay cats or wild animals. Are Stray Cat Diseases Zoonotic? These cat diseases are spread in feces so common-sense hygiene practices such as hand washing and wearing gloves should be followed when managing the litter box of a newly acquired stray cat. 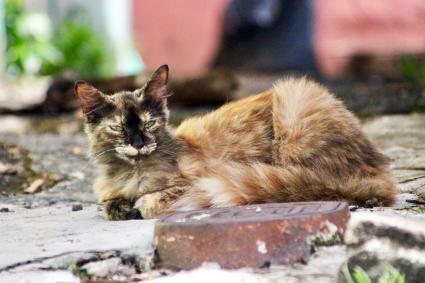 Alley Cat Allies, a national non-profit dedicated to the welfare of stray cats, notes that the majority of caregivers for feral cat colonies across the U.S. have not become seriously ill from their work with these cats which indicates the health risk is minimal. Any cat enthusiast with a compromised immune system should discuss pet ownership with both their physician and veterinarian before deciding whether to adopt a cat that is ill.
Rabies is transmitted from the bite of a rabid animal. The most prevalent source of rabies in the United States is wild animals such as raccoons, skunks, foxes and bats. However, 244 cases of feline rabies were reported in the USA in 2015, the most currently tabulated data. So, it is possible for stray cats to transmit rabies to humans. TTVAR programs focus on catching feral cats, vaccinating and sterilizing them and returning them to the streets. These programs have been shown to decrease the feral cat population, but not completely eliminate it. According to Dr. Hohenhaus, "Happily, there do not seem to be any major adverse effects for cats in TTVAR programs. Current studies report low risk of anesthetic complications and no major adverse reactions from vaccination." Stray cats will continue to be an issue in the foreseeable future, although TTVAR programs have made strides in reducing the population and increasing the number of vaccinated feral cats. If you're interested in helping and learning more about TTVAR programs, contact your veterinarian, local animal shelter or visit the Alley Cat Allies' website for resources.